Personalize your wardrobe, or athletic bag with a custom zipper pulls! These custom zipper pulls are a fun accessory for your ski-jacket, tennis bag, gym bag, or any other zippered object. 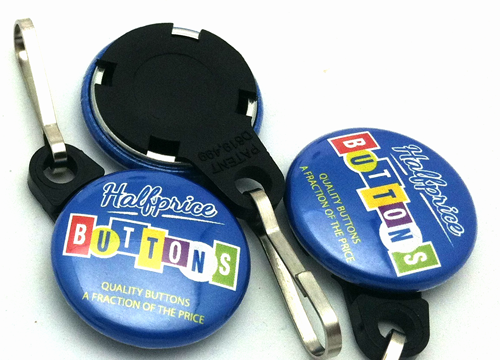 Personalize it with your name, and custom design, and we'll press, and deliver to you for an incredibly low price. Try our custom 1" zipper pulls as a give-away at your next trade show. You'll see these show up on laptop bags, and jackets around the conference, knowing you've just made a great investment in the future of your company.